Ending the long speculation over his future role in active politics, Nationalist Congress Party (NCP) chief Sharad Pawar has declared that he will contest the upcoming Lok Sabha elections, while his nephew Ajit Pawar and some other family members will not contest. Speaking to media persons here on Tuesday, Pawar said, "Ajit Pawar is not going to contest the election, Parth Pawar is not going to contest, Rohit Pawar is not going to contest. Sharad Pawar is going to contest." Pawar made this statement while addressing a question about him allegedly promoting dynastic politics in the region. Pawar's nephew Ajit Pawar is already a member of the Maharashtra Legislative Assembly and there were speculations about his son Ajit joining the active politics and contesting polls. 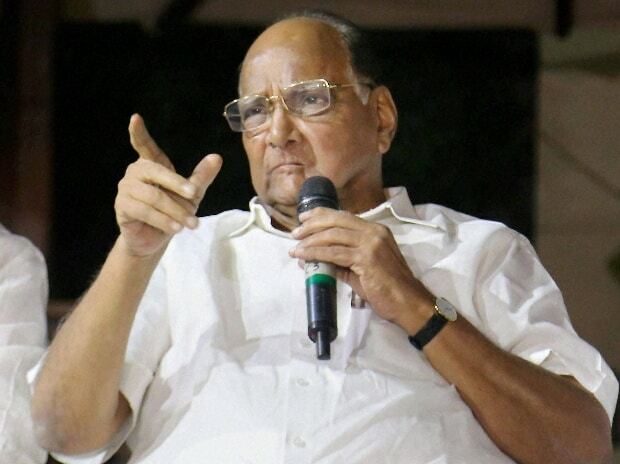 Pawar also refuted rumours of his grandson Rohit contesting polls. Pawar, however, made no mention of his daughter who is a NCP MP Supriya Sule and is expected to contest again from Baramati LS constituency. Talking about the recently reinstated alliance of BJP-Shiv Sena for upcoming elections, Pawar said that people will decide the fate of the same. "There was an atmosphere in last few months where there was a heated exchange of words between them. Today they are standing together, wanting to send a message of unity. People of Maharashtra can understand their strategy. They will think and take the step," said Pawar. NCP chief also criticised Prime Minister Narendra Modi for not attending the all-party meet called in the wake of Pulwama terror attack and said, "An all-party meeting was called by centre after Pulwama Attack. We were told the meeting has been called by PM. When I reached I saw that PM is not there. He should have been there but he found it more important to criticise us in rallies in Dhule and Yavatmal." During 2014 general elections, the Rahul Gandhi-led Congress had fielded political contenders for 27 constituencies in Maharashtra, while the Pawar-led NCP had contested on 21 seats.